Dr. Vandewalker is the Coordinator of Music and Performing Arts for the Fulton County Schools supporting the music education and music therapy faculty in 57 elementary schools, 19 middle schools, and 17 high schools who serve nearly 100,000 students in the Atlanta metropolitan district. Additionally, he is the founding artistic director and conductor of the professional ensemble, Cobb Chamber Winds, and the administrator, artistic director, and principal conductor of the Metropolitan Atlanta Youth Wind Ensemble. Dr. Vandewalker earned degrees at Baylor University, Central Michigan University, and Boston University where he received the Doctor of Musical Arts degree in Music Education. As a performer, Dr. Vandewalker enjoys artistic development as a vocalist, cellist, and clarinetist with twenty-seven years of teaching experiences spanning elementary, middle school, high school, and higher education. Most recently, David served as the associate director of athletic bands/ assistant director of bands at Georgia State University (2012-2016) and Director of Bands at Harrison High School in Kennesaw, Georgia (2000-2012). A Conn-Selmer Artist/Educator, he has led concerts before esteemed audiences such as the CBDNA/NBA Southern Division Conference, Music for All National Concert Festival, and the Midwest International Band and Orchestra Clinic. Marching Bands under his direction received honors including participation in the 57th Presidential Inaugural Parade, 2009 & 2014 Macy’s Thanksgiving Day Parade, ranked top-ten nationally by the 2013 College Band Directors National Association (CBDNA), received five Bands of America Regional Championship titles, and were Bands of America Grand National Finalists (Top 12). Dr. Vandewalker is a recipient of the Sudler Flag of Honor, nine-NBA Citation of Excellence Awards, three National Wind Band Honors Awards, is recognized in multiple editions of Who’s Who Among American Teachers, and is an elected member of the American Bandmasters Association. He has published numerous articles in professional journals, chapters in multiple volumes of the Teaching Music Through Performance in Band book series (GIA) and Rehearsing the High School Band (Hal Leonard), books including Boosters to the Rescue, and Strategic Plans for a Successful Booster Club (GIA), and Foundations for Wind Band Clarity- Arrangements for Concert Band, Foundations for Wind Band Clarity- Instructional DVD, and Everyday Stuff Every Director Needs to Know (Vision Publications). Additionally, Vandewalker is a nationally-renown staff development presenter with multiple clinician appearances for GMEA, Music for All Summer Symposium, Smith Walbridge Directors Institute, Texas Bandmasters Association, and the Midwest Clinic. Dr. Ambrose is Director of Wind Studies and Ensembles, Associate Professor of Music and the Associate Director of the School of Music at Georgia State University where he conducts the Symphonic Wind Ensemble, Wind Orchestra and University Chamber Winds, and coordinates the Master of Music in Wind Band Conducting degree program. Prior to this appointment he held conducting positions at the Chicago College of Performing Arts and Boston College. He also served for five years as Director of Instrumental Music in the public schools of Norwood and Monson, Massachusetts. 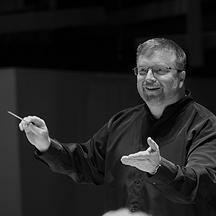 Dr. Ambrose received the Bachelor of Arts degree in computer science with a concentration in music from Boston College, the Master of Music degree in music education from Boston University and the Doctor of Music degree in conducting at Northwestern University. His principal conducting teachers have been Mallory Thompson, Frank Battisti and Eric Rombach-Kendall. In addition, he has attended classes with Seiji Ozawa, Robert Spano and Andre Previn at the Tanglewood Music Center. Ensembles under the direction of Dr. Ambrose have performed at Carnegie Hall, Spivey Hall, the College Band Directors National Association Southern Division Conference, the Georgia and Massachusetts Music Educators Conferences, Boettcher Hall in Denver and at the Hatch Memorial Shell in Boston. In addition, a recent performance of Igor Stravinsky’s Symphony of Pslams under his direction has been given repeated airings on Georgia Public Radio. An ardent supporter of contemporary and avant-garde music, Dr. Ambrose is co-founder, conductor and guitarist of the Atlanta-based contemporary music ensemble Bent Frequency. Hailed by Gramophone Magazine as “one of the brightest ensembles on the [Atlanta] scene,” and by the Atlanta Journal Constitution as “a suddenly indispensable part of the Atlanta music scene,” this ensemble has received widespread critical acclaim for their musical virtuosity and innovative programming. Dr. Ambrose is in great demand as a guest conductor and clinician and he has worked with countless college and high school bands and orchestras throughout the United States and abroad. He recently traveled to Australia where he served as artist-in-residence and clinician for five public schools in the Brisbane area. He currently serves as a staff adjudicator for the Dixie Classic, Gateway, All-American, Southern Star, Music Maestro and Performing Arts Consultants Music Festivals. A guitarist by trade Dr. Ambrose has performed in dozens of jazz ensembles, combos, rock bands and pit orchestras in Boston and Chicago. His rock band “Hoochie Suit,” formed with members of the Chicago Symphony Orchestra, received rave reviews throughout the Chicago area and has performed for such distinguished guests as Yo-Yo Ma, Larry Combs and Daniel Barenboim. For three years Dr. Ambrose served as co-editor of the internationally-circulated Music Educators National Conference Measurement and Evaluation newsletter. Recent publications include articles in the Bulletin of Historical Research in Music Education and The Georgia Music News. Dr. Ambrose is a member of Phi Delta Kappa, the College Band Directors National Association, the World Association of Symphonic Bands and Wind Ensembles, the Music Educators National Conference and the Georgia Music Educators Association and has served on the Executive Board of the Massachusetts Instrumental Conductors Association. In addition, he has been awarded the National Band Association Citation of Excellence.